Today we went to the Jofre's Theatre in Ferrol;we had the opportunity of seeing a modern version of Cinderella:Spinderella.We enjoyed ourselves a lot with the funny songs and dialogues of Cindy,Becky,The Karaoke King and DJ Dave.Do you remember what you have to do if you want to be alike Cindy? You have to sing very well,practise sport and eat healthy food.Try it! It's worth! New Year 2011! 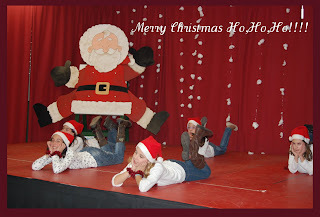 with this photo of the 6th class dancing 'Jingle Bell Rock' last Christmas Festival. And...here's the video! Enjoy it! These are some Hallowe'en Riddles that kids learnt last week.I know it's...a bit late but...anyway I want to show you them.Great job,kids! Last week boys and girls brought some fruit to the classroom and we prepared an exhibition about AUTUMN FRUIT.They had lots of fun putting the different types of fruit and leaves,learning the fruit names and playing games. Etiquetas: autumn activities, autumn fruit. Let's prepare a healthy LUNCHBOX.Don't forget to put some FRUIT in your lunchbox!!! Now let's count to 12 with the ladybugs' picnic! Today we are going to learn about BIG and SMALL hamburgers with Grover the waiter,this funny video of Sesame Street! 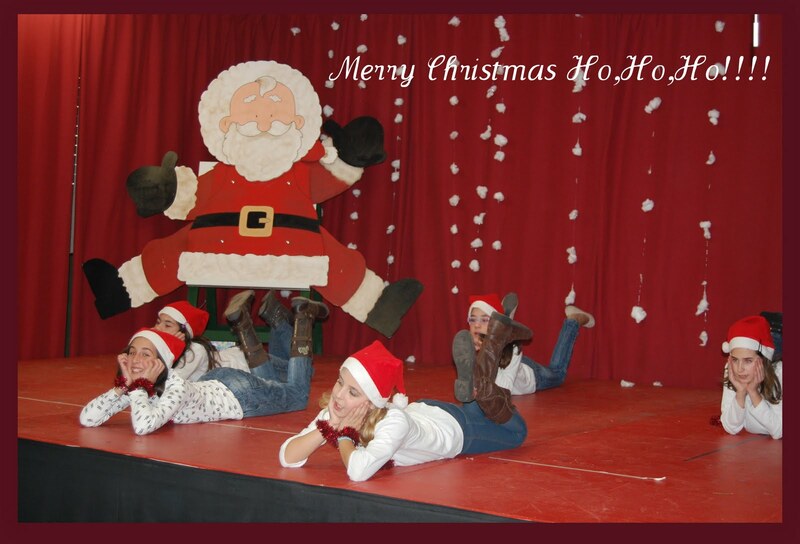 Can you find real Santa?